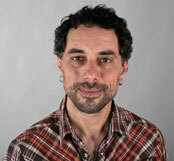 Sean Feit Oakes, PhD teaches Buddhism, Haṭha Yoga, and Organic Intelligence® with a focus on the integration of meditation, philosophy, and self-inquiry with trauma resolution and social justice. He has studied in Zen, Tibetan, and Theravāda Buddhist lineages, including training as a monk in Burma, and is authorized to teach by Jack Kornfield. Other primary teachers include Anam Thubten, Sayadaw U Janaka (vipassanā), Eugene Cash and Sylvia Boorstein (Insight Meditation), Alice Joanou (yoga), and Steven Hoskinson (Somatic Experiencing/Organic Intelligence).